The garage door is one of the most expensive parts of a house and yet, it’s also one of the most neglected. A homeowner usually deals with their garage doors when it’s already too late and the repair already involves several hundreds of dollars—if the door can be salvaged at all. Imagine amounts of money going as much as almost two thousand dollars down the drain because of negligence! This is the reason why it is important to know the telltale signs of a garage door that already needs some much needed repair work before the garage door gives way and needs to be replaced. Does your garage turn into a swimming pool when the rains come around or a winter wonderland once the snow season arrive? This simply means that there are leaks inside due to a garage door that is not properly aligned. Because of this, there are gaps between the door and its hinges which lead to water and snow coming in. This should be resolved immediately as it will become the cause of bigger problems later on, not to mention the damage that it will affect the quality of your stuff inside the garage. One of the biggest signs of a faulty garage door is your electricity bill. Due to the gaps, heat or cold may seep out, leading the need for higher or lower temperatures on your thermostat or your air conditioner. Great working garage doors are not noisy at all. The reason for this may be with the springs or the opener. One of the causes of the noise may also be the presence of rust which is much harder to solve in the long run. Rust also happens when the paint starts to crack and some parts of the door are exposed inadvertently to the elements. What used to be a fast closing garage door or what used to be stopped mid-closing is a garage door that is already encountering problems with alignment. It can also be because the tracks are already filthy and are in need of professional cleaning services. Aside from that, the rollers may also be in need of proper and ample lubrication. The garage door and its remote control are made to work perfectly with each other. However, when the garage door stops responding to the control intuitively, there is already something wrong with the workings of that door. As a door that’s very much exposed to the elements and other human errors, it can experience a lot of accidents. In general, once it is hit or has a dent, it should be fixed immediately as it affects the mechanical integrity of the material. Smart homeowners know better than to ignore these signs before a need for a bigger investment is needed to purchase another garage door. When an innovative caveman first came up with the idea of a door, little did he know that he will change human society forever. The invention of the door hails the birth of privacy and security. Thousands of years later, humans still protect everything with doors especially their homes and beloved cars. If left unprotected, cars can fall victim to vandals and other threats. Garage doors vary in style and functionality. 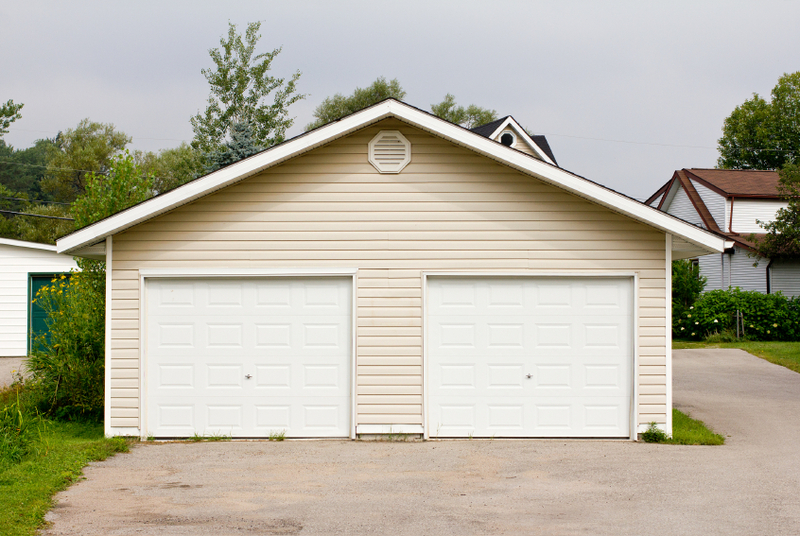 When choosing a garage door, a person has to consider whether he has a long or short driveway. If space is an issue, roller garage doors would be more suitable since they don’t need much area to work on. 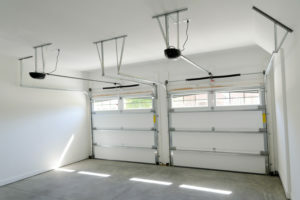 This garage door is made up of aluminum attached to one another horizontally to form a metallic curtain attached to a horizontal drum overhead. When the drum begins turning around, the garage door opens. It closes when the drum turns in the opposite direction. Another choice for garage with short driveways is the overhead sectional garage door. This garage door is made up of panels attached to each other, and opens by sliding the panels up and to the garage ceiling space. Unlike the roller garage door, this type can be made from different materials. This gives sectional overhead garage more style and strength. The up and over garage door is best for people with roomy driveways. This type can be made of different materials like wood, steel or fiberglass. However, it needs more space because the door opens by swinging outside first before going up and settling on the garage ceiling. The owner has to make sure his car is in a safe distance before he opens the door or else it will hit his car. Garage doors are made of up various materials and each has its own benefits. Choosing the right material for a garage door requires serious thinking. Each material varies in strength and in aesthetic beauty. Wood would be a good choice for the stylish. It is versatile and can be designed in different ways. A person can have a garage door sculpted with his image if he so chooses. This does not mean that wood is not strong. In fact, depending on the kind of wood, it can be stronger than steel. But wood should not be exposed to water. Those who prioritize safety over beauty would more likely to choose steel garage door. Not only is steel a very strong material, it also deters most people who have plans of breaking through a garage. When people see steel they immediately think of strength and would usually just give up. Fiberglass is considered one of the strongest materials around. But unlike steel it can be made to look just as stylish as wood. It can be expensive though so not everyone can afford it. There is no question that garage doors are important in keeping a person’s home and car safe. Choosing the right type and material for it needs quite some thinking. But with the right information, it doesn’t take a genius to find the right one for the right home. Very rarely does a garage door form any sort of a priority in people’s minds—up until the point that they stop working and leave you out in the cold or heat. That’s because we tend to use our garage doors with a single-minded sense of automation that it hardly passes our consciousness. The problem there is that, more often than not, when they do happen to break down, it usually is pretty serious and causes a terrible hassle when you can’t get in or out of your home. The trick here is that it’s actually really simple to maintain your garage doors. Often times, the reason that a garage door will break down is that over time, the lubrication dries up and friction starts to wear down the more vulnerable, small parts like rollers, hinges, tracks, hinges, latches, and others. A good squirt from penetrating solvents like WD-40 is enough to keep you going. If any rust builds up and locks the torsion spring, a little oil applied will get it up and working again. Rollers and hinges also tend to get stuck up after some time. Because they’re critical to operations, this can be a big hassle. What surprisingly works well on them is kerosene! All you need is a small cloth or better yet, a toothbrush to get the kerosene in. If there is any rust build-up, you can use steel wool to rub them all away. One the process is done, then you go back to step one which is pretty basic: lubricate again. If you live in the US where storms or snow fall are a reality, then your garage door is bound to have weather stripping installed. While rare, this does tend to crimp along the edges of doors that it covers and eventually jams the sides of your garage doors. Make sure to always check these strips and adjust them as often as needed. Should they be worn and jamming more, then it becomes a good idea to replace them as well. Common garage door operating mechanisms involve a long chain that drives the motion of the door. There are two things that you need to do in this regard: one is to check the physical condition of the chain. Is there any wearing down or potential breakage along the length? The second is whether or not it is properly lubricated that it operates smoothly. If you can hear something wrong with the chain, it’s best to act fast before it breaks apart and sends your door careening shut. 5. Take care of the surface. Lastly, it’s equally important to check on and attend to the surface of the doors themselves. If made out of wood, it’s important to make sure it’s coated with weather-proof paints and even free of pests. If it’s made from metal, then make sure that there is no rust forming. Just stick to these tips and you should be worry free for a long time. Check the springs and change them when necessary. There are two types of springs to check: the torsion springs and extension springs. If there are squeaky sounds or quirky movements when raising and lowering the garage door, it may be due to some problem with either spring. Have the springs checked as frequently as needed and replace it when necessary. Garage door cables prevent the springs from flinching and allow a broken spring to fall safely. Check the cables. Fully open the garage door and place a couple of c-clamps below the door’s lowest wheel to prevent the door from sliding down. Then, carefully unhook the springs, change the cable and hook up the springs again. Do not unhook the cables if the tension springs have not been released yet. Most DIY-ers injure their fingers by pulling down the garage door with their fingers in between the panels. Avoid doing this. Instead, use special handles or gripping points (if you don’t have pinch-resistant joints) on the inside and outside of the garage door if your door has an opener. If you have a manual garage door, use the handles or the gripping points for safety. Again, never place your fingers in between the door panels. Keep those controls away from children. Kids normally play around the house and they love to experiment with things. They can go to the garage and innocently reachfor the controls that open and close your garage door. This is dangerous for your children and also for your cars and other valuables inside your garage. 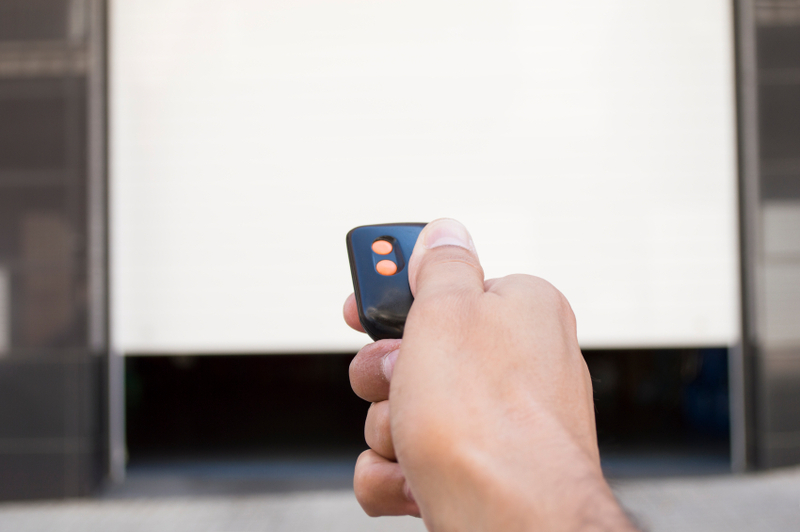 To avoid accidents, make sure that the garage door opener or control button is kept out of reach of small children. Always have your installation manual ready. If you need to do repair work, refer to instructions for quick troubleshooting. Also, make sure that your tools are complete. The manual usually lists the things you need for garage door installation. Contact a garage door technician. If you don’t have the technical know-how or the training to install garage doors, it is best to call the experts for installation. It’s not only thesafer option, but it’s also more cost-efficient. Yes, you’ll pay for the service fees but you’ll save more in the long run because you’ll get quality installation and require less back jobs. 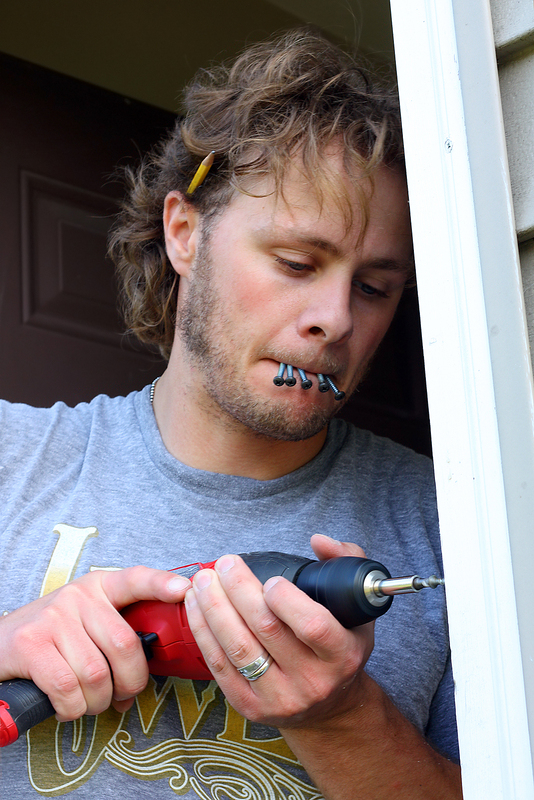 There’s no risk for injuries on your part and these professionals can install or repair your garage doors quickly—without ever damaging your property.